Nothing is as unfair as global trade. The rules are rigged against developing countries and the world’s poor, and yet, the World Trade Organization (WTO) is the best we have to regulate international transactions in goods and services, given that the regional and bilateral free trade agreements pushed by rich nations, are even more predatory in nature. The irony is that US President Donald Trump has been accusing other nations, primarily China, of “unfair policies and practices” as he escalates the trade war by imposing new tariffs of US $200 billion on Chinese exports to the US. Trump’s primary grouse when he imposed the initial tariffs on $50 billion worth of imports from China was the alleged theft of American intell ectual property rights (IPR). Some of these violations, such as counterfeiting famous brands, trademark infringement and copyright violations are old complaints that have been addressed to a great extent. 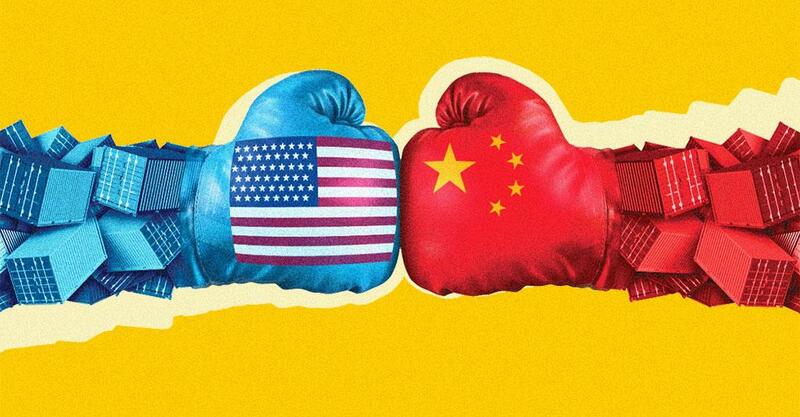 The more nagging concern for the US is Beijing’s insistence on foreign companies sharing their technology with Chinese entities to gain access to China’s vast market. What is the truth of the Trump administration’s charges? A 2017 report by the US Trade Representative estimates that Chinese “theft” of American IP currently costs between $225 billion and $600 billion annually. That’s a huge range and experts have cautioned that it indicates guesswork rather than a clear quantification of what IP has been stolen and how. Reports from Washington speak of officials finding “strong evidence” that China uses foreign-ownership restrictions to compel US firms to transfer their technology to Chinese entities. It’s difficult to understand how this constitutes a violation of IPR. If anything, it would amount to discriminatory licensing practices for which Trump can file a complaint at WTO if indeed that’s a violation of rules. In recent years, China has done much to clean up its IP rights act and it’s an issue that has figured at the highest level. In 2017, President Xi Jinping had highlighted the need for strict enforcement of IP laws and that violators would be made to pay a “heavy price” as the country launched a nationwide campaign to protect IPR of foreign firms. In fact, the US industry does notsee China as a major violator of IPR. Of the 50 nations listed in the US Chamber of Comm erce’s International IP Index, China ranks 25th. The index measures a country’s comm itment to protect innovation through legal rights and the US is ranked the top nation. Besides, it’s acknowledged that in recent years, American IP owners have been quite successful in enforcing their rights in Chinese courts. There is affirmation, too, from scholars like William Weightman, a Fulbright Fellow researching IP in China, who says the country has demonstrated its seriousness about addressing IP-related concerns. The fact is that pressure has been mounting from China’s domestic industry for stronger enforcement since they are being hit by cheap knock-offs of foreign goods. That’s how IPR laws have evolved the world over. Don’t forget the history of the US itself. It was a brazen violator of patents and copyrights as its nascent industry developed and it was not until 1890 that it began to protect foreign works. It then waited another century before joining the global copyright treaty. (This article was first published in the 1-15th October issue of Down To Earth).